The health of your family’s smiles is important to you. It’s important to everyone at Meridian Dental Clinic, too. It would be our honor to help you and your family develop and maintain optimal oral health and smiles you love to share! Dr. Mark Walker, Dr. Bryan Edgar, Dr. Linda Edgar and Dr. Lindsey Yap have over 100 years of combined experience offering painless, comprehensive dentistry. Along with our exceptional team members, we focus on you as a whole person, not just your teeth. There is a strong connection between oral health and overall wellness. It’s important for you to understand that connection and what you can do to ensure both are in excellent shape. We’ll teach you, and provide support and encouragement, while you take control of your smile’s health. Open Communication: We want you to feel safe and comfortable talking with us. We’re not judgmental and are here to help, not criticize; we’ll work with you to help you achieve great oral health, with an emphasis on home dental hygiene, developing healthy habits, and nutrition. Comfort: It’s essential you feel comfortable and relaxed during your visits. We have an inviting reception area that includes free coffee and tea, as well as current magazines. Our operatories are equipped with soft treatment chairs, we provide blankets and pillows, and you’re welcome to watch TV and movies. We also offer nitrous oxide (laughing gas) if you would like some assistance with relaxing. Comprehensive Dental Care: We offer a range of dentistry, including preventive, cosmetic, and restorative. You will receive treatment here in familiar surroundings, provided by doctors and a team you know and trust. You won’t need to worry about coordinating with outside specialists or anything else. 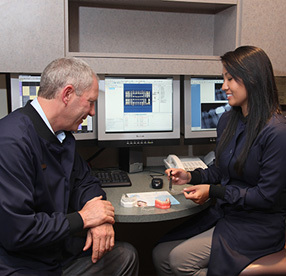 Advanced Dentistry: Our doctors and team members are committed to delivering leading-edge dental care. We complete many continuing courses throughout the year so we’re current on new technologies, techniques, and patient and customer care. Please call and schedule a consultation at our Federal Way, WA comprehensive dental office. We look forward to welcoming you to our dental family and helping you achieve a lifetime of radiantly healthy and beautiful smiles!